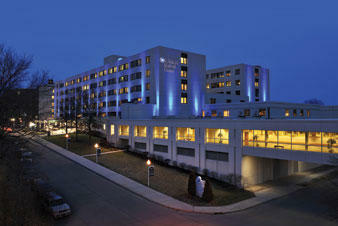 The acquisition of St. Mary's Medical Center by a hospital in West Virginia has been made official. Cabell Huntington Hospital board of directors Chairman Dr. Kevin Yingling says the hospital finished the final steps of financing and paperwork to complete the acquisition of St. Mary's Medical Center. WSAZ-TV reported Thursday that both hospitals will be carrying out plans that included integrating electronic medical records and recruiting qualified physician specialists. Years of litigation ended when Steel of West Virginia and Cabell Huntington agreed Steel of West Virginia would withdraw its challenges. Steel of West Virginia backed off when Cabell Huntington promised to work with area businesses to improve overall workforce health and reduce incidents of hospitalization.